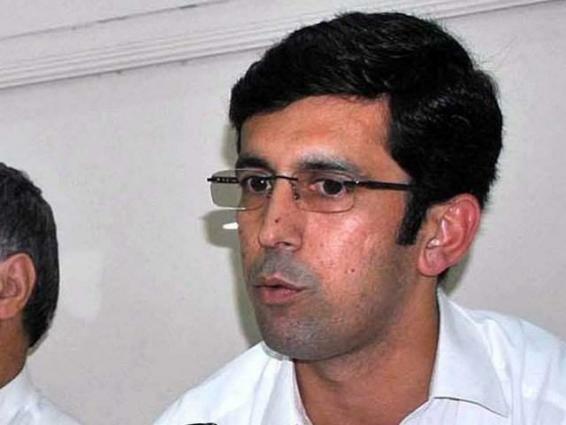 PESHAWAR, (UrduPoint / Pakistan Point News - 16th Apr, 2019 ) :Khyber Pakhtunkhwa Minister for Local Government and Rural Development (LG&RD), Shahram Khan Tarakai has directed the officers to improve their performance and besides collecting maximum revenue should also bring improvement in the tax collection system. Talking to a delegation of the Local Government Officers Association here on Tuesday, the provincial minister said that the overall local government department, particularly the system of Tehsil Municipal Administrations (TMAs) would be improved and made more vibrant to provide better municipal services to the people. He said that the performance of officers would be strictly monitored without ignoring mistakes. However, he assured that officers would not only be provided facilities but problems relating to promotion and employment would also be resolved. The members of the delegation highlighted their problems and requested the minister for an early action. They discussed the posting of senior authorities, creation of new posts, giving powers to RMOs, release of technical allowance, amendments in Local Government Act, seniority and other affairs. He assured the delegation that their problems would be resolved on priority basis and government officials would be given their due rights. Regarding fresh recruitment, the minister said that vacant posts in TMAs would be filled in phases and the whole process would be unified ensuring transparency wherein merit would be given top priority. Mr. Tarakai said that PTI do not amend policy or law to benefit an individual rather Prime Minister Imran Khan is committed to bring changes in the local bodies system and improve life of the people at large. He said that in this connection more than a dozen meetings have already been held wherein each and every section of the draft system had discussed. He directed the Secretary Local Council board (LCB) to ensure bio-metric attendance in TMAs and said that a comprehensive policy for transfers and postings should be formulated.